The CFS 2 year anniversary celebration is this Saturday at 9 AM! This will also double as our “Bring a Friend Day this month so invite all your friends to come workout, celebrate, and brunch with us! (Brunch is a verb right?) Remember we’ll have DJ-LA in the house setting the vibe so you know it’ll be good! 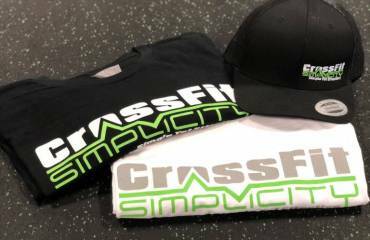 The Open is here..and the even cooler CrossFit Simplicity Open! Get signed up for the former so you can participate in the latter! Check out the link at the bottom of the rundown. Don’t forget The Open is a great chance to test your fitness and cheer on your friends! It’s always a great opportunity to show us what we need to be working on and improving the rest of the year and to have a lot of fun! We are now going to draw for the CFS Committed Club each month. The prize will be a little smaller but a lot more frequent! Get ready for the January drawing soon! 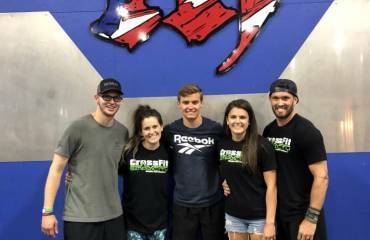 Monday: No better way to start off the week than with a classic CrossFit benchmark workout! 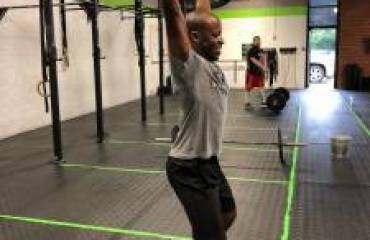 This may be the most feared and infamous CrossFit workout of all… But why? Intensity…Fran is designed to be hit with the highest level of intensity possible. This is a very simple and short workout but is also very potent. There’s no reason you should be afraid of Fran though. We simply want to make sure we scale this down to something we can hit under six minutes and with a lot of grit. At the end of the day this is just another CrossFit workout and nothing to be intimidated by. If you hit this workout correctly it’s going to be fast and it’s going to be pretty uncomfortable… But it’s also going to be over before you know it. I really hope you guys are excited for this workout because it’s one of the classic staples of CrossFit. Everyone should know their Fran time and Monday we are going to find out ours! Tuesday: Weightlifting day! We will be focusing on the split jerk today with an emphasis on technique. If things are feeling good then go heavy! We will start with some triples and build to a heavy single but if you are new to this movement we may stay a little lighter and keep with the triples so that we can work on developing good movement patterns. Remember two very important aspects to this lift: driving with the legs out of the dip and then pressing yourself under the bar rather than pressing the bar up! Wednesday: We have a pretty short AMRAP today to get us to the backside of the week. This is a good three movement workout that you can really push the pace on if you are feeling good. We will have a heavy kettlebell swing, a burpee, and a low box jump (for the guys). Because this is not a long work out the idea here would be to set a relatively high pace on round one and try to maintain through out. Definitely give it your all and see if you can get six or more rounds for the day. Thursday: Great workout planed for Thursday but one that will be a little longer relative to the rest of the week. This one is a solid mixture of running/rowing/barbell movements that will test your lifts under an elevated heart rate. It’s days like this that show us the importance of building a solid foundation of proper technique and mechanics. When you are tired and fatigued it’s even more important to hit all your marks and maintain a good position during your lifts. Make that the goal today! Friday: It’s hard to say if Friday is more shoulders or more legs… The jury is still out on this one so you’ll have to decide for yourself! Either way this is a great three round workout to send us off into the weekend and to our two year anniversary celebration on Saturday! For the most part this workout is pretty straightforward although there are some longer elements you may want to break up like the 15 overhead squats in each round. You never want to exhaust one muscle group or another too early in a workout. Like always it’s best to use the first round to feel things out and then increase the intensity from there if possible. 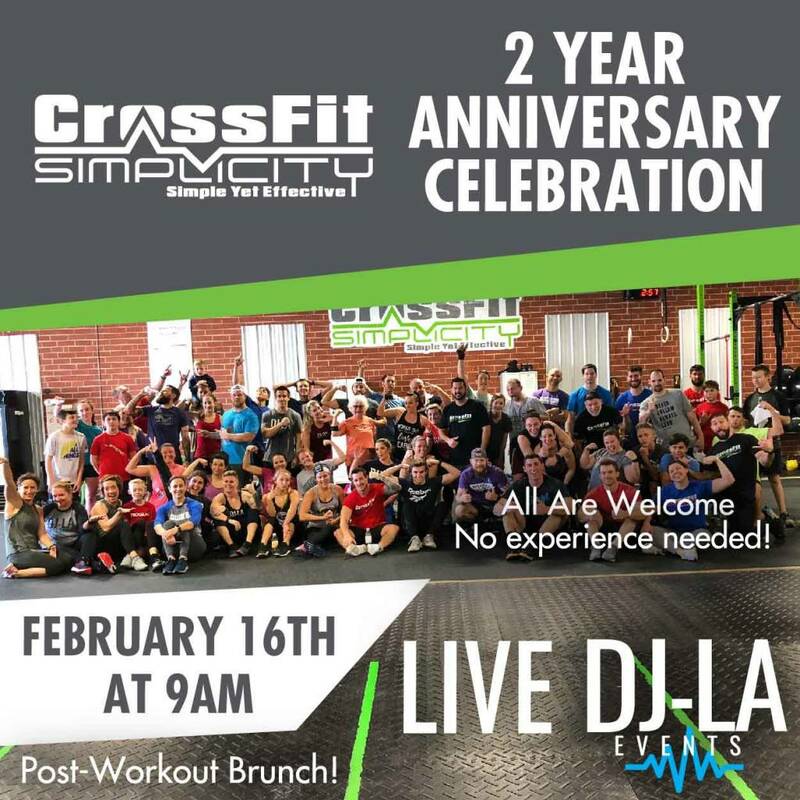 Saturday: It’s hard to imagine that two years has gone by CrossFit Simplicity. It feels a lot more like two months! Looking back and reflecting over the past two years it’s amazing to see how far we’ve come as a community and a group of friends. This is also a great time to reflect on how far you all have come as athletes and individuals. The progress we’ve seen on individual fitness has been amazing. We can’t wait to get together with you all and celebrate each achievement over the past two years and what we are bound to accomplish in the next! Can’t wait to see you all in the gym this week as we move through February. Remember that we would like to have everyone signed up for The Open by this Friday (2/15) at the latest so that we can compile teams. I hope it’s been clear that The Open is nothing to stress or worry about but more a chance to celebrate our fitness and our support and encouragement of each other as a community! If you have any questions about it please reach out to a coach and find out why they are doing The Open! Let’s have a great week and stay committed!